The Trailer TV, a livestream party, on a disused trailer, parked up next to the Deptford Creek, behind a bus, that serves craft beer on tap, and the best sourdough pizza in South East London. Diffrent Music were asked to come and do a showcase and show their people what we’re all about! 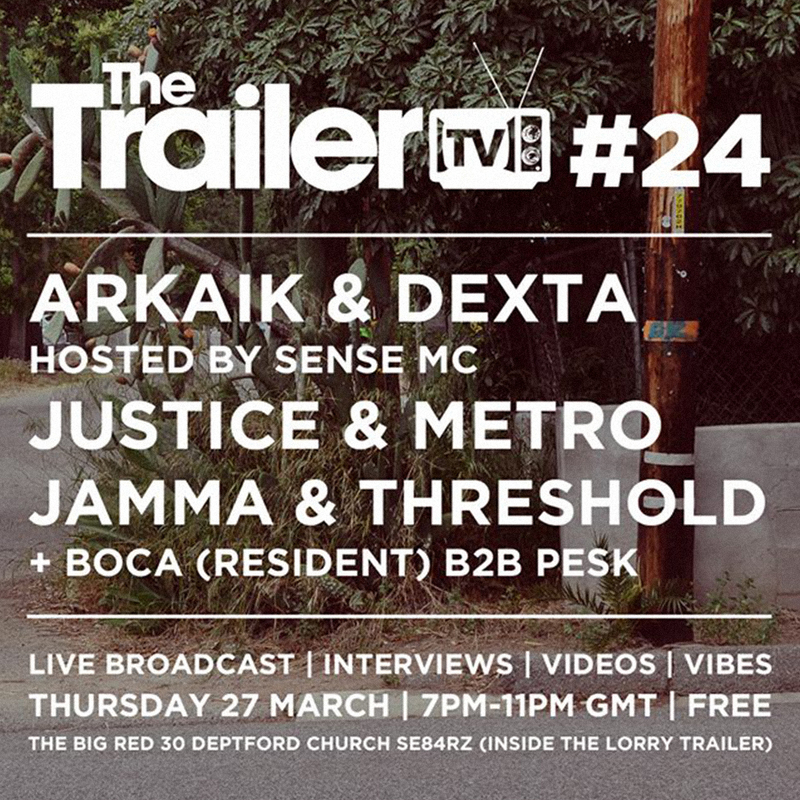 Arkaik, Dexta & Sense MC teamed up for a 45 min heater session. The night also featured our good friends Metro & Justice of M:Jazz, and Jamma & Threshold of Dub Clinique. It was a great evening!